Although the current unseasonably warm weather suggests that a crazy beach rave would be about right, this time of the year belongs to New Years Eve Parties! And if you're spending it in Bushwick, you're in the epicenter of awesome fun. If you were planning on spending NYE elsewhere, maybe our selection of 10 coolest parties in Bushwick and nearby will change your mind! Oh course, you wanna party with Bushwig! The experimental house of BATHSALTS and the retroactive DUNGEON are teaming up to present NYE event at Secret Project Robot! Dj sets from Balitmores' SCHWARZ, Detroit's legendary TAMION 12 INCH and a whole bunch of drinking & drag queen from Macy Rodman's BATHSALTS family! Only $10 cover! Body Actualized puts forth an affordable, local, and triply / epic NYE dinner and party. They're offering a full farmer's market dinner menu, including dishes for vegans (Walnut Rye Winter Harvest Stuffing) and meat eaters (Truffled Beef Liver Pate) alike. At 10 pm, dance vibrations with Deep Trouble DJ will start up and at midnight they'll host a champagne toast. This party will go all night, so wear something that speaks to your aspirations for 2014! If you have waited till last minute like the rest of the human population on New Year's Eve, bite the proverbial bullet and purchase a ticket that is now at $100 bucks. The Verboten collective has gained momentum all year proving that they are just as interested in providing a lasting memory, then providing a paycheck for themselves. 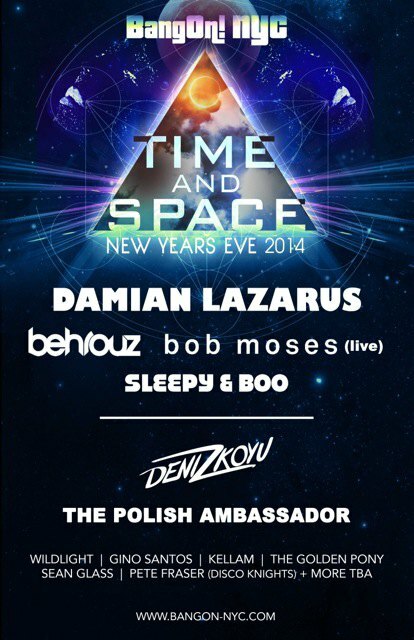 Lee Burridge has ravaged Brooklyn this year, so having this guy with his ADID (All Day I Dream) label cohorts Maher Daniel & Gab Rhome seems fitting to end 2013. This jaded aging music writer is impressed with this group's production value, so I am excited to see what they have in store, and who they are debuting "Eats Everything." 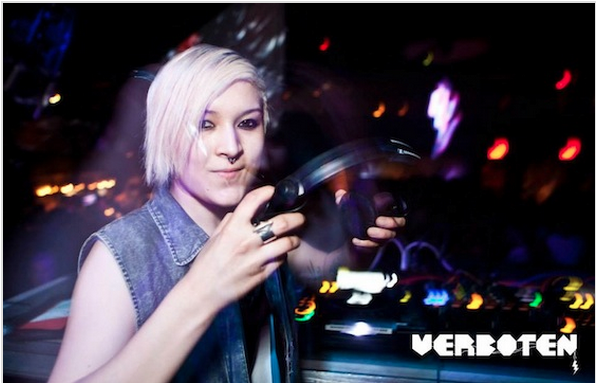 Maya Jane Coles doing a special midnight set is worth the ticket price, and to have Star Eyes our hometown hero also there is going to make you an official aficionado of all things current in the global dance scene. Oh yeah, it is at a secret Brooklyn location that *cough* *cough* is within Bushwick's reach rain, sleet, or snow. 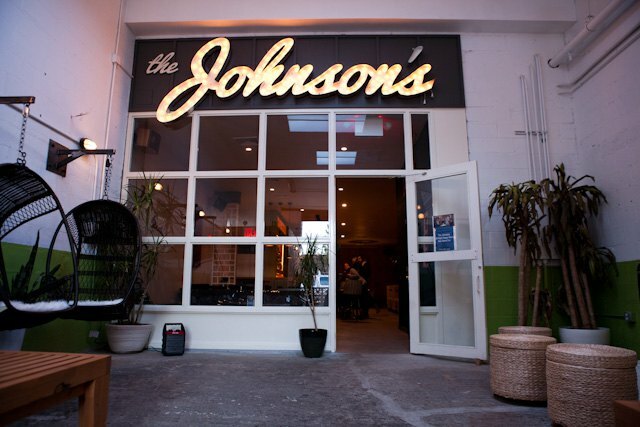 Whether you are eating, drinking, or inhaling your vibes… They are providing the backdrop to it. Last year we highly endorsed Bang On! 's New Years Eve Party . This year, they're back and in a new space- not 299 Meserole where that secret Arcade Fire show happened in October- but at new space 699 Scholes Street, a 60,000 sq ft former steel factory with 45 foot high ceilings...damn. And they're hitting you with even more glimmering attractions, including two stages of music, circus performers, illuminated art installations, body painters, Burning Man art cars, clothing vendors, themed lounge areas, food trucks & more. It's a warehouse party and rave baby, and at a party like this with 3000+ attendees, you're going to meet all sorts of people. True ravers and Manhattan socialites, bridge-and-tunnel CT kids, drag queens, musicians, artists, businessmen, construction workers- literally, sky's the limit of characters that will enter and then leave your life that evening. If you're looking for a night that's the furthest from Dull, this one's for you. Hey reggae, lovers! The Tea Factory Loft Building aka 175 Stockholm, Brooklyn is hosting an awesome vibey reggae party. There will be champaign, photographer, close dancing with your prom date! 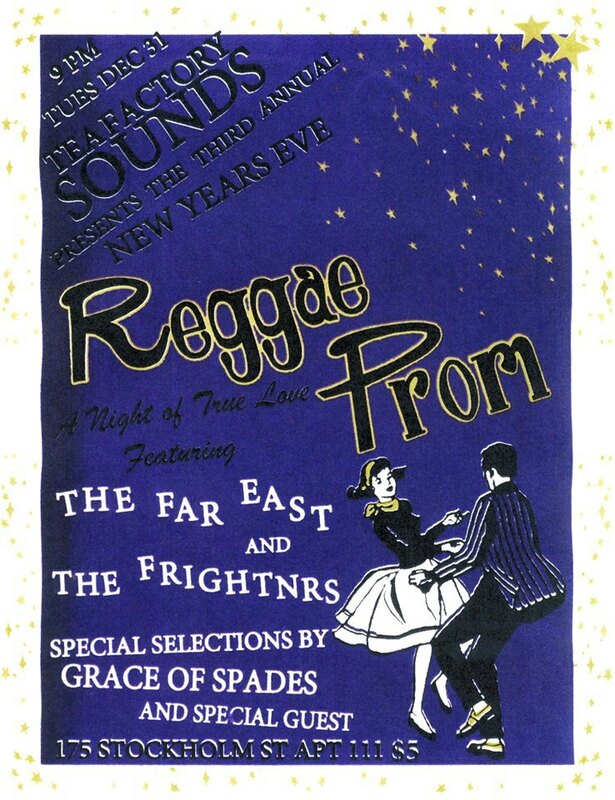 Music shall be provided by THE FAR EAST, THE FRIGHTNRS and GRACE OF SPADES. One of New York’s most loved underground event spaces has been given a brief reprieve and Rubulad is returning there to celebrate their Cheap & Dirty New Year’s Eve, the city’s biggest bargain bash. If you're new in town and have no idea about what Rubulad is, then hold your hat, and buckle your seat belt. You may see something you've never seen before! 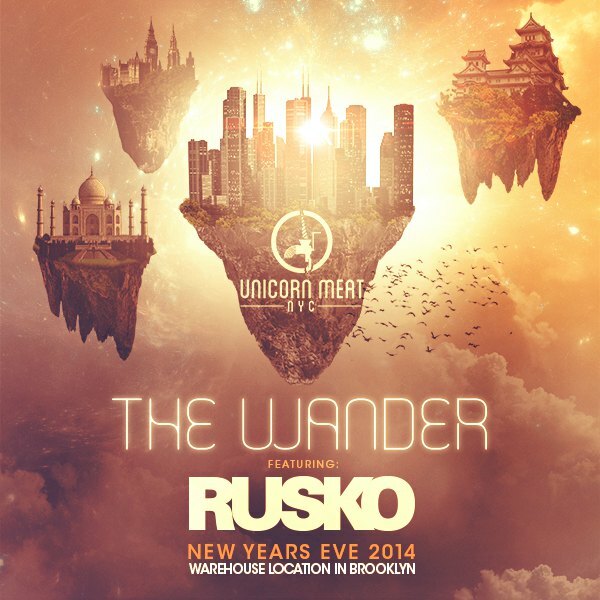 If you're hoping to spend your NYE lost between magical worlds only to find yourself, while dancing at world's known, DJ Rusko, make sure you head to The Wander NYE 2014, an epic party to be thrown by Unicorn Meat. Look forward to amazing art installations as well! 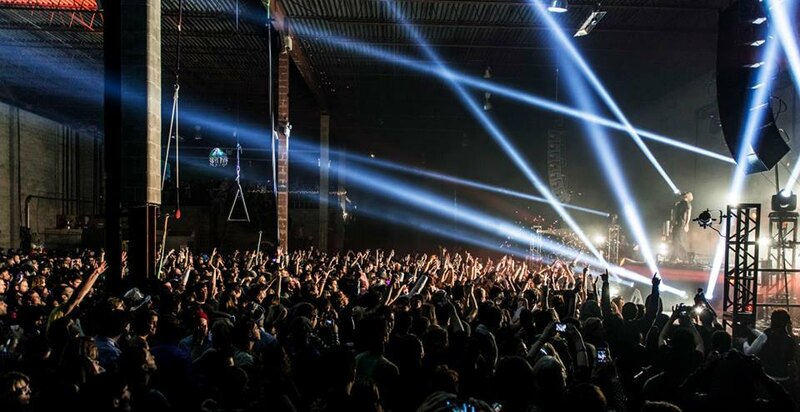 Secret warehouse location will be revealed upon purchase of the ticket. 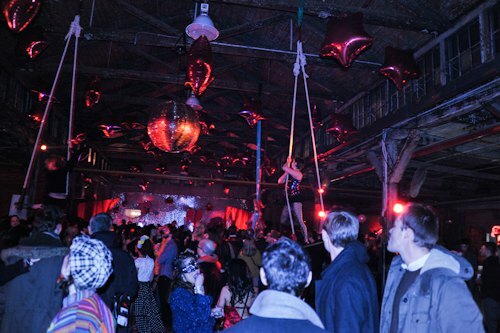 Things can go only bizarre at Bushwick fave French night club, Bizarre. Absinth, good people, dancing, and all that free of charge! Another awesome free dancey event is being promised by Tutu's! 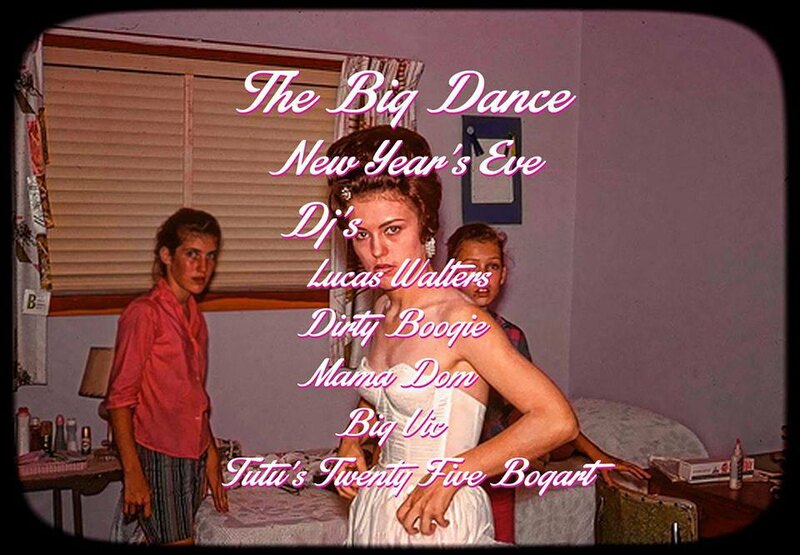 DJ's Lucas Walters, Dirty Boogie, Mama Dom, Big Vic and more DJ will make sure you shake off any newly acquired Holiday weight! Guys, head to virtually any Bushwick bar for some quality NYE partying with your friends. Honorable mentions go to: Tandem; The Rookery; The Bodega; Cain's; and newly open The Johnson's with happy hour prices whole night!